At Long Island Foot & Ankle Group, PC we know that many of our patients are gearing up for the biggest shopping day of the year, Black Friday. If you have a foot or ankle disorder, however, you can end up sacrificing your feet for savings and doing damage that may last through the holiday season and beyond. With the proper precautions, however, most patients can still enjoy this marathon shopping spree. Below are some tips for patients with specific podiatric conditions that can make the day more comfortable and enjoyable. Diabetes—if you have diabetes, chances are you are well aware of the importance of protecting your feet from sores and injuries. Be sure to wear a comfortable pair of shoes that have a roomy toe box and are made of soft, flexible material. At the end of your shopping day, inspect all parts of your feet to make sure no blisters, red spots or raw areas are visible on your feet. If you do notice anything that looks like the start of a sore, contact our Valley Stream (516-825-4070) or Lake Success (516-327-0074) office. One of our foot and ankle surgeons Dr. Russell Caprioli, Dr. Mary Ann Bilotti, Dr. John Haight or Dr. Marzana Mleczko will examine your foot promptly. 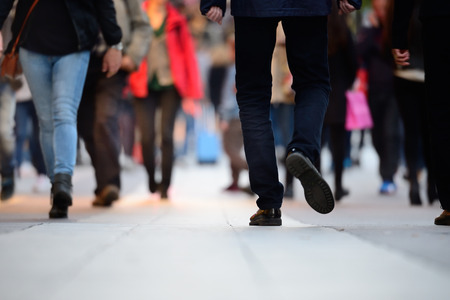 Flat Feet—if you have flat feet, good arch support is critical especially if you are going to be on your feet walking the mall for several hours. If the podiatrist has prescribed a custom orthotic device for you, be sure to use it for your shopping day. Poor Circulation—there are several conditions that can result in poor circulation to the feet including diabetes and peripheral arterial disease. This can mean that you are more likely to experience edema or painful swelling of the feet or ankles. You can help prevent this from happening by drinking plenty of water throughout the day. You should also plan to take breaks and put your feet up if possible. With a little planning, you can enjoy Black Friday shopping and not leave your feet in the bargain basement! If you have specific questions about your foot or ankle condition, contact us today.